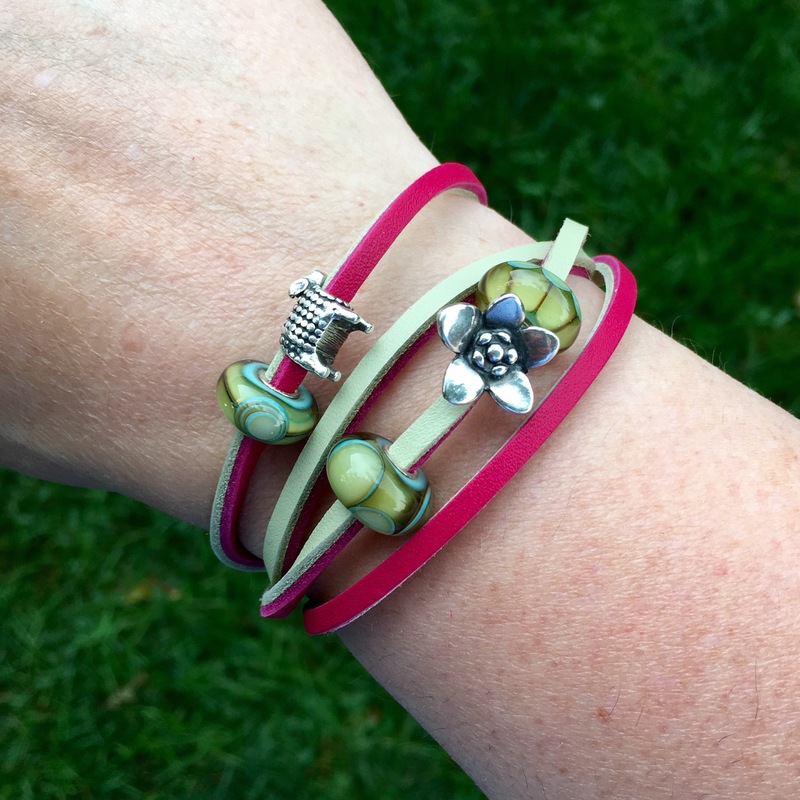 The Cherry/Sage leather bracelet is very vibrant on the pink side and is a more subdued light sage or greenish beige on the other. Depending on what beads you want to use you can emphasize either side. To show off the sage side I went with the recently retired Aqua Edge Pumpkin/Triangle and Petals glass beads, Lamb and The Messenger. Then, I tried a combo with just a few pieces. Here is a bracelet with the Pink Facet Delight, a couple of Smile of Stars, Aztec, Mom’s Bouquet and a couple of Neverendings. Here is a bright pink combo with, on the top strand, Summer Dot, Smile of Stars and a unique. The second strand has Neverending, Mom’s Bouquet and Aztec. The next strand has Pink Desert, a unique and the Red and Lavender Armadillo. The final strand has a Smile of Stars and The Diamond Bead, Pink. Lastly, I’ve put it with the Pandora Honeysuckle Pink leather bracelet so people who have that can get a colour comparison. It’s not a perfect match, but I think they look nice together. 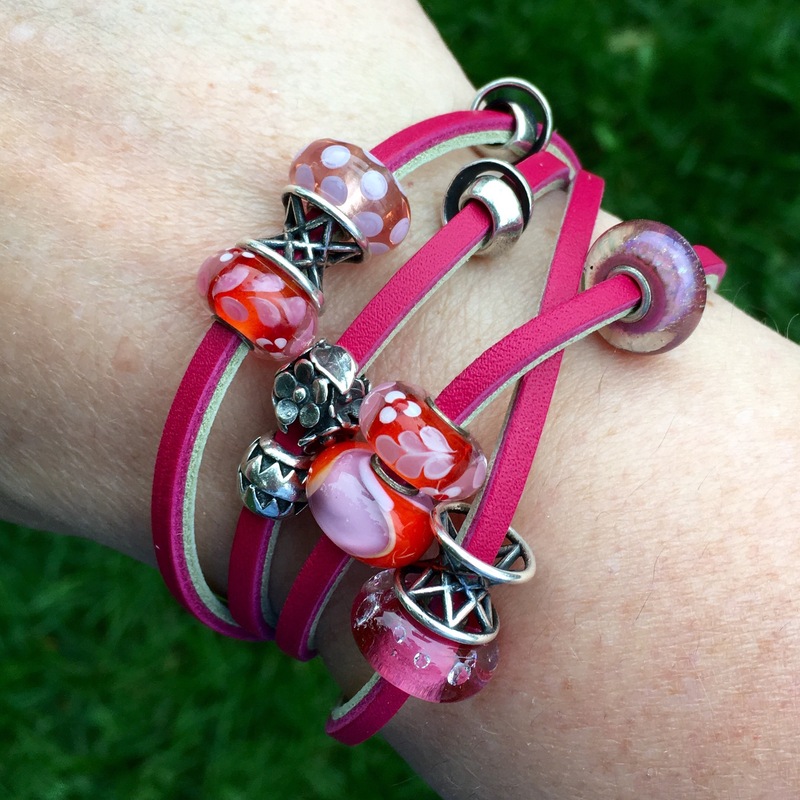 Now I see your glorious pink Trollbeads ! 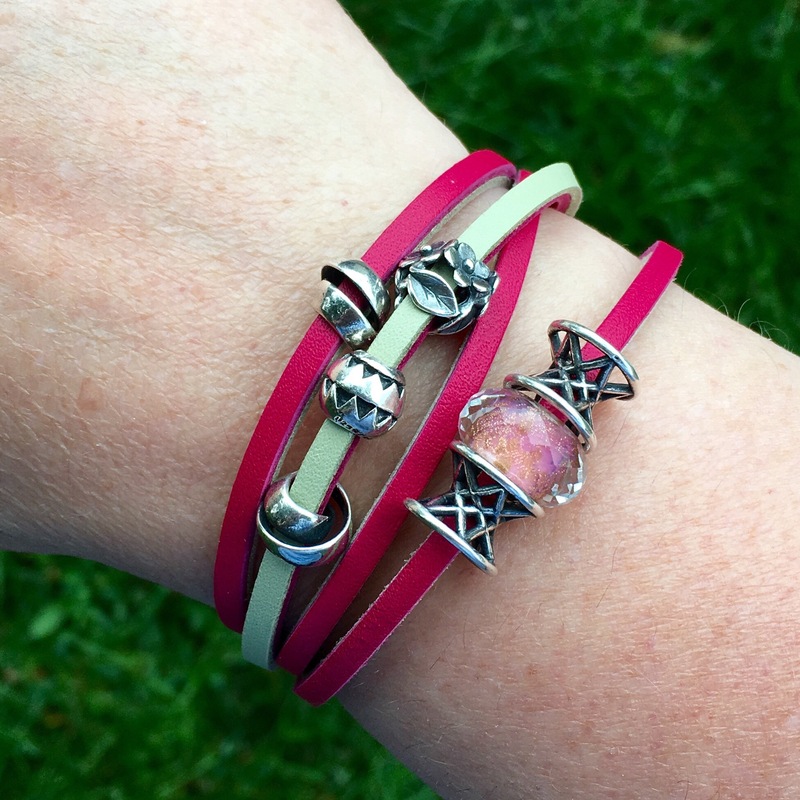 They really are lovely on this leather bracelet. I am trying to decide between the turquoise one and this! It’s interesting how similar the Pandora leather is to your Troll leather. 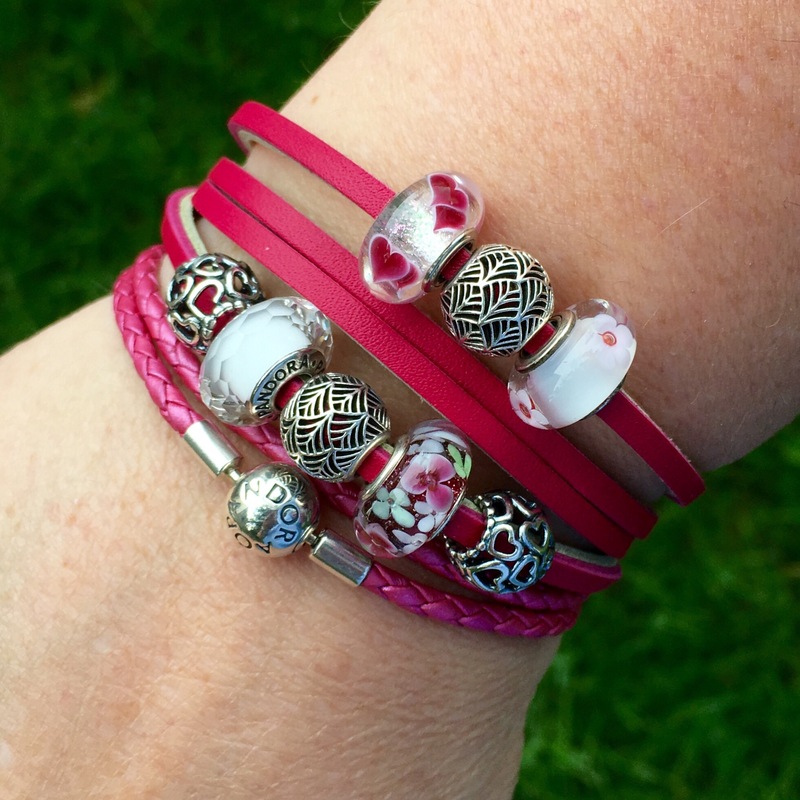 Pandora does not have the variety and number of glass beads to choose from that Trollbeads do, but the ones you chose for the final photo are beautiful on this perfect, pink leather bracelets! That would be a tough choice between those two colours! The nice thing about these also is the price. As long as you have a lock, then the leathers are just $38.